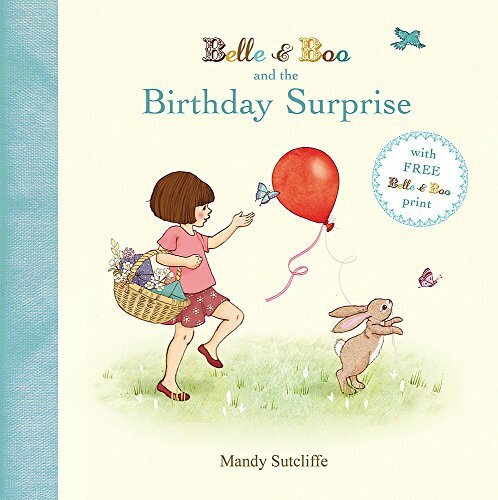 Supported by Belle and Boo merchandise (cushions, tableware, wall stickers etc), this charming picture book looks to become popular and successful. 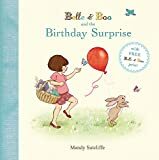 It is a whimsical tale of a little girl and her rabbit who prepare for someone’s birthday, although the rabbit has little idea of what a birthday party entails. The preparations include making a card and cakes, and blowing up a balloon. Puff goes the wind, and alarmingly, Boo takes off high into the air, clinging to the balloon. There is drama over his recovery. In pictures full of charm, Belle addresses the reader directly, entrancing her audience. With a gentle pastel colour palette, the very best of birthdays is happily celebrated to delight small listening children. No doubt there will be questions asked. Is Boo a toy rabbit or is he a pet? One quibble – an acute child will notice that the flowers picked and placed in the eggcup for the picnic are not daisies as the text informs us.